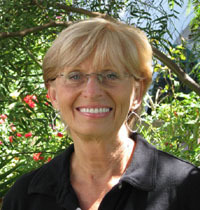 Having now spent more than 35 years examining, exploring and reading much literature on spiritual and psychic development, I have found among the many paths and traditions, a number of overlapping ideas and techniques displaying a general agreement towards one set of recurring principles for the attainment of success and happiness. What follows is a compilation of these principles and how best to use them in your daily living to acquire for yourself and others the things which improve your life. The techniques discussed are simple to accept intellectually, but this does not give an automatic working knowledge without practice. Presumably, as you are reading this, you have formed many beliefs over the years which make up your own individual realities. For the moment, I Would like you to wipe the slate clean, and reject any preconceived ideas or beliefs which enter your mind thoughts. This must include any ideas or beliefs relating to such things as Karma (the Law or Cause and Effect), reincarnation (being born again on the Earth after death, astrology (the study or the position or planets at a person’s birth), or any similar techniques used in assessing an individual’s present position in life. This is important because you are likely to get feelings similar to those experienced when someone tells you that what you held to be true for several years was, in fact, made up and was not true at all. (For example, your revered uncle Bert was not, in fact, the famous inventor of Spitfire engines, but a regular clerk working in the factory; or, from the past, the world is round and not flat and the planets in our solar system orbit around the sun). Let’s pretend that the only time which exists is the present and that nothing which has gone before, or will happen in the future, exists. Therefore, there is no past or future, only NOW. If you could choose any now that you desired, what would you choose? What person would you be? Where would you be? What would you be doing? Think for the moment about the new you. Imagine what it would be like having whatever you needed or desired! The present is the point of power, and beliefs cause reality. A big issue in many western cultures, is the way we are educated to be negative-thinking individuals – always expecting the worst and preparing for ‘rainy days’. All of us come into the world and are immediately influenced by those around us, already here. If our parents/carers are positive in outlook, we adopt a similar stance. If they are negative, we do the same. If they are fearful, we see the world as a frightening place. Now, before we continue, I would like you to imagine taking a fresh lemon. Now bite through the fruit. Do you notice your saliva glands making your mouth water? This is a well-used example showing the power of mental thought over the physical body. In fact, if you monitor a person’s brain activity when they are performing a task, and then do the same when they are only reliving doing the task in their memory, the recorded brain activity is virtually identical. 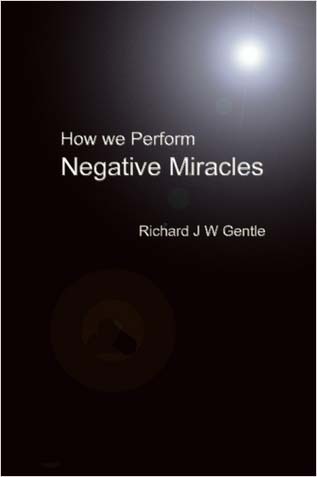 If we take this example a stage further, you can appreciate that negative thought produces one series of effects on the body, whilst positive thought produces another series of effects. By thinking negatively we actually depress the physical. By thinking positively we enhance a feeling of health and well-being. It is the difference between being depressed or being inspired! 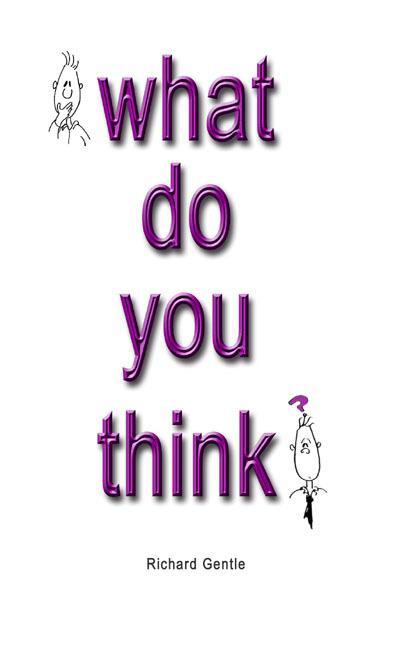 How many times a day do you reinforce your negative self-beliefs by saying; ”Can’t”, “don’t”, “shouldn’t”, etc. and how many times do you and those you talk with reinforce those beliefs for one another? And what about the media? News programmes and documentaries of investigative journalism can portray a very jaundiced view of reality. Serialised dramas on the television – such as, soaps – also steer our thoughts towards a world that is not real. But the influence of such programmes has an effect on the way we perceive reality and on the way that we think when we set off for our own experiences. In the past, our culture has reinforced and exaggerated in us, feelings of guilt and doubt. When we desire to bring about a change in our lives we usually start by examining where we are going wrong. To help us we look into our past memories, picking out all sorts or possible causes and events which reinforce our present negative situation and experiences. Reinforcement of negative experiences in the past, will exaggerate such experiences in the present, and project them into the future. The point of power is in the present: Beliefs cause reality. Rather than letting your past negatively affect your present, start with the present and re-pattern your past. Look for all the times when you experienced joy and successes. Relive these positive feelings. Incidentally, with any of the exercises you do, your eyes may be open or closed – whichever is the easiest way for you to imagine most clearly. However, the aim is to see in the mind without being distracted by what you physically see in front of you. Decide on something which is needed or desired. (Keep things simple at first. Do not run through a long list – simply pick one thing. There is plenty of time to repeat the exercise again for something else later). Now, imagine in detail what it feels like to have what is needed or desired. Emotionally feel how it improves your life. Absorb yourself into these thoughts and feelings. Think positively. Be positive and put all doubt or worry aside. This is a game to see who can imagine and ‘live’ the best things. Try to get a feeling of knowing that you have what you need or desire. How does it feel? Now release the thought. 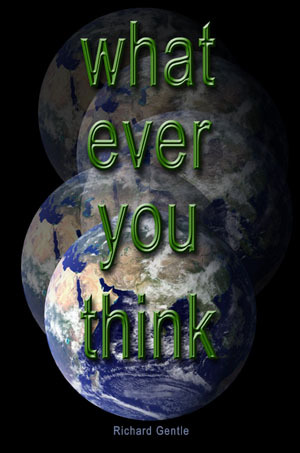 See your thought going into the universe where it will be processed. Allow yourself to be detached from your desire. It does not matter now, whether you get what you want or not. What will be will be. Quickly, come back to your physical environment and look around the room at anything. Try to concentrate on anything in the room whilst thinking about having a drink or visiting a friend. (This, when done correctly, diverts your attention away from your need or desire, long enough for the thought to be released. It also has an important role in detaching your conscious mind from past and future – enabling you to be completely present in the moment of ‘now’. (It is only important for you not to revert back to thinking about your need or desire for an instant). There will come a moment when you will realise that you have forgotten what you were thinking about. It is then okay to let yourself think about anything again. When you become proficient at this technique you will find that you can go through it instantly without thinking. 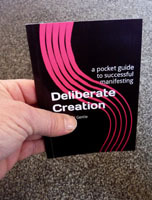 You will know when you have reached this stage because your desire thought will often manifest itself in your physical reality spontaneously and in such a way, that you will only realise you desired something after the event of it coming into being. Following the practice of this technique, it is a good idea to respond to your new beliefs so that neurologically, the new message gets across. By this I mean that you should make some kind of gesture NOW, in this reality, to show that what you just imagined exists. Beliefs cause reality which reinforce beliefs. For example, if you desired more money in your imagination and could feel what it would be like to have more money, make a physical gesture to confirm that this is so by giving some money away or by buying something slightly more expensive than you would normally. Start to do this just beyond your personal ‘comfort level’. Do not be too lavish on the first occasion. Start with something simple, such as going out and buying a preferred [more expensive] drink to your usual drink. It is important here to stress that you must have the right attitude before performing any new gesture. It will not help you or anyone else if you act anxiously, begrudgingly, or half-heartedly. Neither will it help if you wonder what you will be receiving in return. Give with love and no conditions attached. Similarly, when spending more on a purchase, think how wonderful it is getting what you really like. Affirm to yourself, there is plenty more where that came from. There is, and there will continue to be. Possibly, you need a further way to strengthen your feeling for what you desire. Maybe you desire a new car. Go to a showroom and look at the new car which you had in your imagination. Sit in it and feel what it’s like. Notice the smell, admire the controls. Next time you can imagine with more strength. (Sometimes it takes one or two sessions to create the right feeling). Maybe it’s a person you would like to get to known or spend more time with. Smile when you see him/her next or say hello, knowing that it will only be a matter or time before you are together. All this helps to strengthen your new belief and make it part of your reality. Whatever your need or desire, try to find a way to respond to the new belief and know that you will get, or now have, the desire fulfilled. The present is the point of power. New beliefs will cause a new reality. 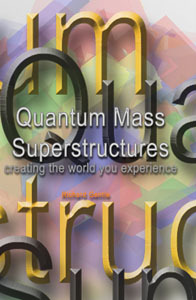 Quantum Mass Superstructures - Creating the world you experience - is based on a talk Richard gave to Starlab, Barcelona in 2011. 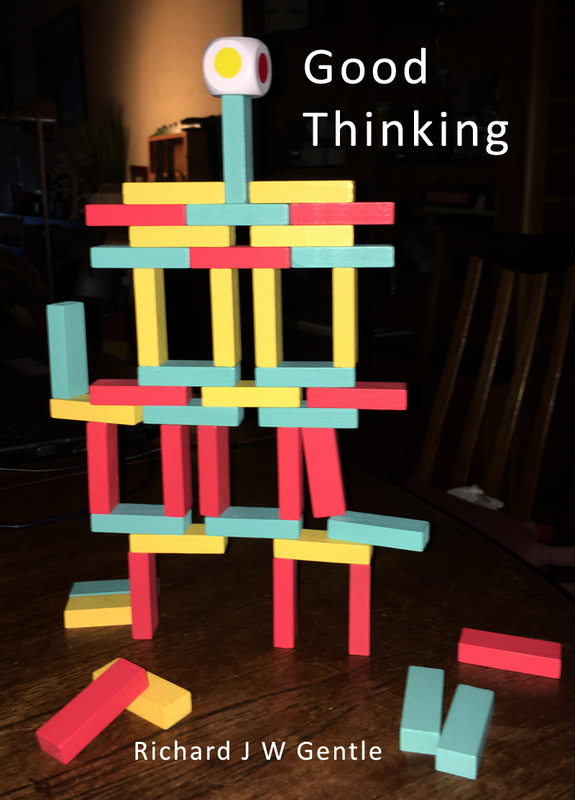 The book explores our connections between creative mental output and its first interaction with the quantum building blocks of our physically experienced universe. Lynda Madden Dahl has written about Seth for many years and her latest book series, 'Living a Safe Universe' (1, 2, 3, and 4) are 'must read's. Subscribe to a Daily Law of Attraction Quote by clicking on the image above. This booklet provides a new way to view your health and shows you, in no uncertain ways, how to maintain or improve it. 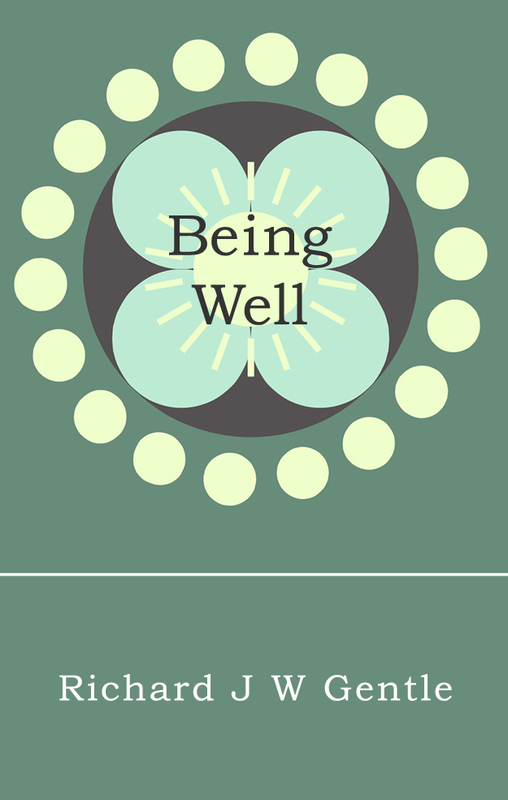 Health in relation to personal beliefs, LOA, and understanding your own responsibility for being well, are brought together to empower you in ways that will negate the need to rely on others for your wellness. This booklet has been produced to give you some key help for creating positive change in your life. Through developing better, more helpful thoughts, you will improve any situation you find yourself experiencing. Change what you focus your attention on and you change the life you experience.